In 2012 The English National Opera put on a production of Julius Caesar. It was to be a quite radical interpretation and required some life size prop animals. 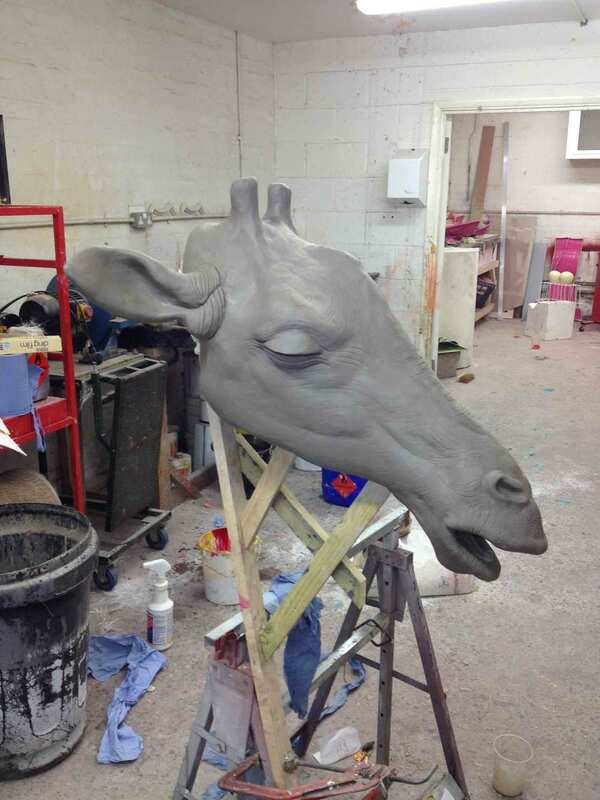 Working at Hothouse IWG I was lucky enough to be given the chance to sculpt the heads while the rest of the team concentrated on fabricating the bodies. The crocodile was nearly 5 metres long and had a compartment built into its belly that contained eggs. In the play these animals are intended as gifts to Caesar and unfortunately have suffered on their journey. The giraffe in particular comes to a nasty end.